There is more to China's story than its rise as a global economic power. The Holy Spirit has birthed a vibrant, rapidly growing house church movement in China's cities. For years, Christians in the West have heard rumors of house churches in the rural countryside with believers numbering in the tens of millions. Now the underground movement has emerged among China's upwardly mobile, globally connected urbanites--and there will be no turning back! 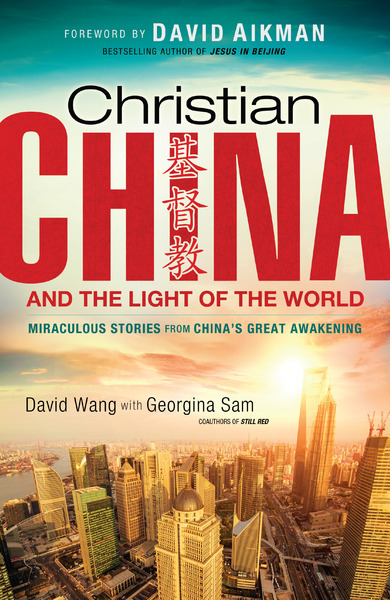 In Christian China and the Light of the World, you'll meet believers serving God's people in the People's Republic of China. Learn about the political, social and economic pressures faced by the urban Chinese church, and find out how you can pray for and support your sisters and brothers in Christ who are following Him no matter the cost. Their true stories of the Holy Spirit's miraculous move across the most populous nation on earth will thrill and inspire you . . . and lead you to worship the Light that darkness cannot overcome.